When the Act was moved in parliament during the first emergency in 1967, opposition MPs feared what we now know – that UAPA gives the government unbridled power to ban organisations and to label anyone a threat to the state. The recent arrest of human rights activists under the Unlawful Activities (Prevention) Act, 1967 (UAPA) has focused attention to this law’s relation to dissent and other democratic activities. The government claims that UAPA is necessary to deal with “terrorism”, by which one would imagine that it allows the government to prosecute those who commit grave acts of violence. However, most prosecutions under UAPA are not for acts of violence, but for membership of banned organisations. This is how the government suppresses legitimate democratic activity. The government first proscribes organisations and then brings cases against people for being members of these organisations. A brief history of the Act shows how UAPA empowers the government to stifle legitimate, non-violent democratic activity through its power to ban organisations. The direct precursor to UAPA is the Criminal Law Amendment Act, 1908, which was issued by the colonial government after the partition of Bengal. Lord Minto, the viceroy of India who called for the legislation, was concerned about reports of violence. But his concern was not the harm to life that resulted from these acts of violence, rather that it made the administration look weak. In one of his letters written to the British government arguing for the necessity of the law, he stated that while he had “no fear whatever of revolution” he nevertheless is of the opinion that conditions of insecurity were beginning to give an “appearance of weakness to the Indian administration”. One of the arguments in favour of the Act was that it was meant to curtail any activities that made the colonial government look weak. The Act gave the government unilateral power to ban associations without any judicial oversight. The colonial government claimed, much like ours does today, that the power was necessary to deal with “terrorist outrages” and “anarchical crimes”. In actual fact, the colonial government used the Act to suppress political activities and to ban and prosecute members of a number of different organisations, including the Congress party, RSS, Samata Sainik Dal (founded by B.R. 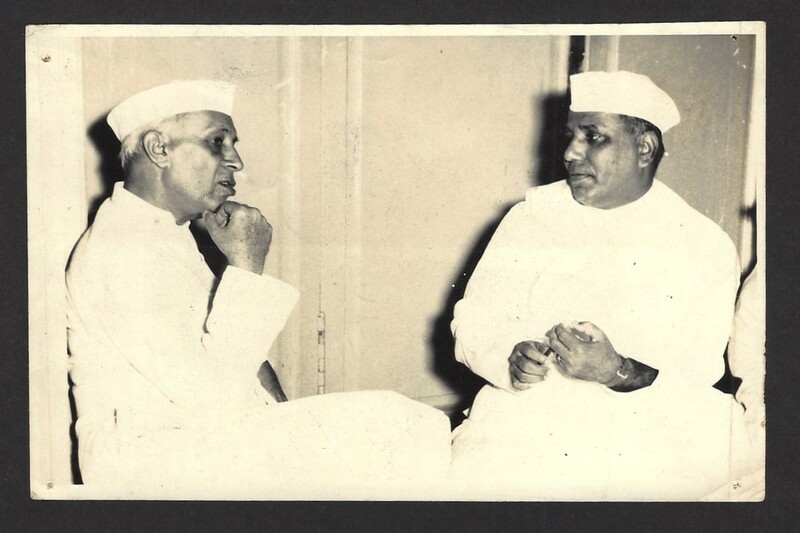 Ambedkar), Swaraj party, and railway workers’ union. None of these organisations were accused of committing any acts of violence. On the contrary, the ban was explicitly because they had participated in political activities. In 1924, a member of the Legislative Assembly, H.S. Gour, moved a Bill to repeal the Act. It was targeted on the ground that it allowed “executive to take the place of the judiciary and it allows the executive to have a free hand in the manner”. Speeches made by Muhammad Ali Jinnah, Motilal Nehru and other legislators are equally scathing of the legislation. Motilal Nehru argued that the government’s justification that it required exceptional laws to govern the country was a confession that “it has failed in the art of government”. Jinnah taunted the government for failing to stem acts of violence and accused it of targeting non-violent associations. This showed government’s “frame of mind [as] one of a ruler who is determined to brook no interference… That they also know it is an oppressive act”. After independence, the government continued to use this Act to squash any form of dissent and banned a number of organisations, including the People’s Education Society. The organisation’s chairperson challenged the Act, stating it was violative of right to freedom of association provided in the then nascent constitution. The Supreme Court, in its famous V.G. Row decision agreed. It held that the ability to ban an organisation by executive fiat, without judicial oversight, contravened fundamental rights. It struck down the Criminal Law Amendment Act, 1908. In 1962, the first emergency was declared in response to Chinese invasion into northern parts of the country. The government issued the Defence of India Rules, through which it resurrected the 1908 Act – blatantly ignoring that it was held unconstitutional. The emergency was extended in October 1963 for three more years and the 1965 war with Pakistan provided additional justification for it to remain in effect. The emergency was never formally revoked. It came to an end when its term finally lapsed in 1967 and the government did not to renew it. Several months prior to the emergency’s end, the Congress government introduced the Unlawful Activities (Prevention) Bill in parliament. It sought to extend the power claimed by the government during the emergency, i.e. ban associations. While moving the Bill in parliament, then Home Minister Y.B. Chavan acknowledged that the power to ban organisations was an exceptional “drastic” power, but one he thought necessary in the interests of protecting the “sovereignty and territorial integrity” of the country. Atal Bihari Vajpayee and Sunder Singh Bhandari, members of Jan Sangh, were also critical in their assessment of the Bill. The Bill was eventually referred to the joint parliamentary committee, and in their note of dissent, they argued this legislation was of no use except to be “abused by the government”. They “could not agree to this Bill wherein any such activity which is not tolerable to the government could be called to account by giving an elastic definition of anti-national activity”. When pressed to name the threats that this law was meant to counteract, Chavan refused to name any. Was it the separatism espoused by DMK? Was it the situation in Nagaland and Mizoram? The home minister obfuscated and did not answer the question – he merely said that it was meant to deal with “divisive forces”. The opposition MPs feared that UAPA was so elastic that it could be used against anyone. They feared what we now know – that it gives the government unbridled power to ban organisations and to label anyone a threat to the state, with little fear that the courts will intervene. 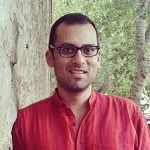 Mayur Suresh is a lecturer at the School of Law, SOAS, University of London.